Guide4WDW.com: Our Guide For Disney Springs - What To Try and What To Skip! 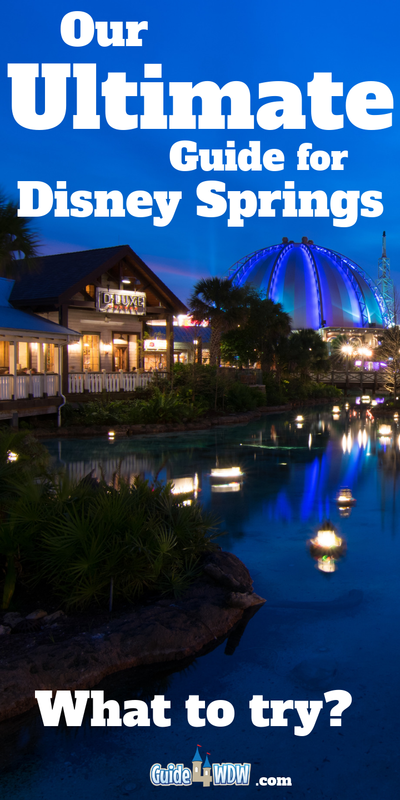 Our Guide For Disney Springs - What To Try and What To Skip! "Your in the moment, stay-up-late, can't help but smile place to be." That's the wording Disney uses to describe Disney Springs on the Disney Springs website homepage right now and honestly it's perhaps the most fitting simple description they could have created! For those of you who may not know, Downtown Disney underwent a massive change that was completed back in 2016 to transform the area into a more family centric environment with a rich backstory and a truly all encompassing space to focus nighttime entertainment. I was one of the many skeptics of the project and while my site was only a thought deep in my mind back when the construction began, it was and is one of the few projects I've followed heavily from concept art all the way into real world construction. When the very first conceptual rendering rolled out I remember thinking "This will never leave the drawing board. There's no way Disney will spend this kind of money on a non-ticketed area of property." I was wrong in every way imaginable and I'm not at all ashamed to admit that. The project transformed the Downtown Disney I knew growing up into something entirely different and it was largely for the better. Back when I was a kid we spent most of our time in the Marketplace and only rarely made the journey down to the West Side to visit DStreet (anybody else remember when Vinylmations were the hot item??) or the Magic Masters shop before it closed back in 2011. Considering those two things alone, I've now made it blatantly obvious how nerdy I can really be but at the same time I know that today's experience is far more family centric. There's no denying that I miss that feeling of unique separation between the multifaceted Downtown Disney experience, but today it's more of a cohesive design and one that you can really recommend to guests of all ages. In essence that's why I'm sharing this article today. 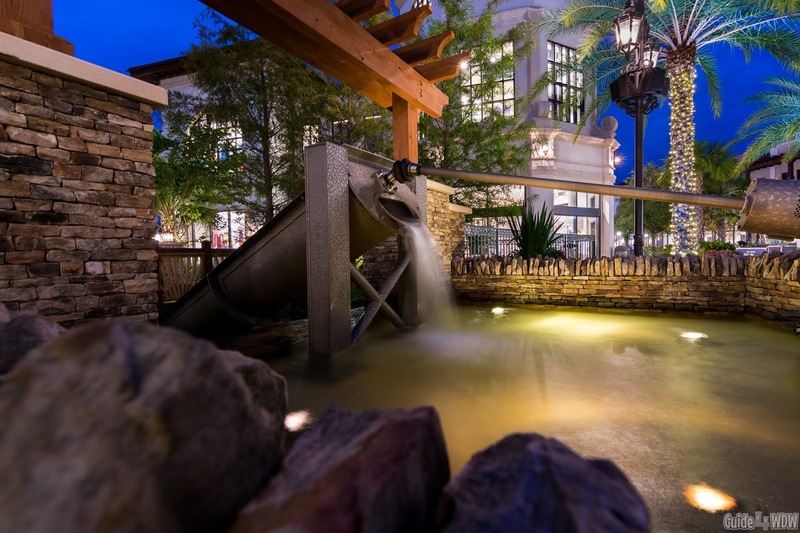 Disney Springs is no longer "new" in the way it once was, but it does remain fairly unexplored by the typical Disney guest and is often under utilized by guests spending week long vacations on Disney property. There's so much more to the area than it gets credit for and at times you really have to spend some time just exploring to fully get a feel for all that there is to offer. 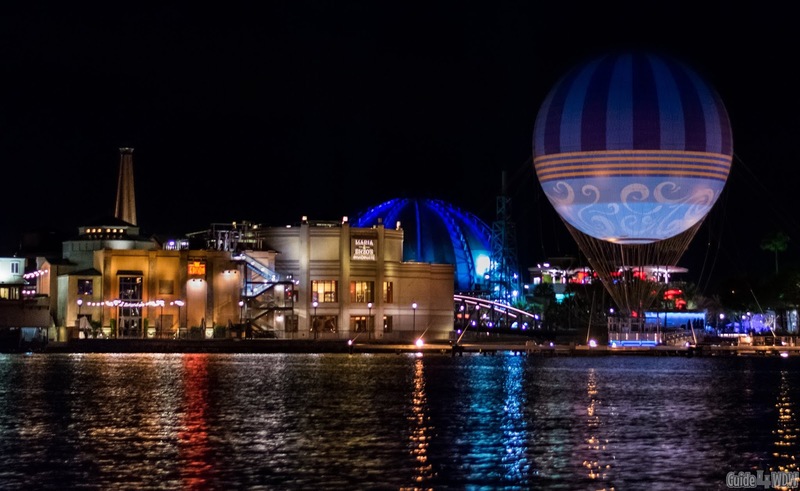 Years ago, you could tour Downtown Disney, to a reasonable extent, in one night. You wouldn't see and do everything but you wouldn't feel like you missed much along the way either. Today, if you spend less than a day there you're going to miss out on an unbelievable array of offerings that have debuted that truly span the age range while providing one unified experience. It's a massive area and quite possibly one of the best things to happen to Disney in the last ten years and that is a bold claim coming from me. The only real problem with that reality is that there simply is more to do than you can ever get done. It's overwhelming and in many cases you really have to pick and choose what's worth your time to visit or try while you're there and what can be set aside for a future vacation. Ultimately, that's what sparked the idea for this list today. We want to look at what we've tried in the last three years and share a few tips and recommendations on what's worth your time and what may be worth putting on hold until a future vacation. Planet Hollywood (early in the night) - As it gets later in the night, Planet Hollywood does get a bit more "adult" oriented. It's not off-putting or inappropriate for kids in my opinion but at the same time I wouldn't take young kids there. Personally I prefer the desserts to the actual food but it's a fun place to dine nonetheless! The Boathouse - Boathouse offers a great menu with a good array of high end and reasonable price point offerings. You can even grab a seat out on the dock for a spectacular view over the water and an equally incredible meal! While you do have other incredible options, if you want to stay away from chain restaurants or more expensive and somewhat more intricate menus and offerings, those are some of your very best options. If you are looking for those top notch and more intricate dining options that many adults tend to prefer, I suggest you look at STK, Morimoto, the Edison, or even possibly one of the many Wolfgang Puck locations. Overall, you really cant go wrong with dining at Disney Springs. There's something for every budget and nearly any desire! 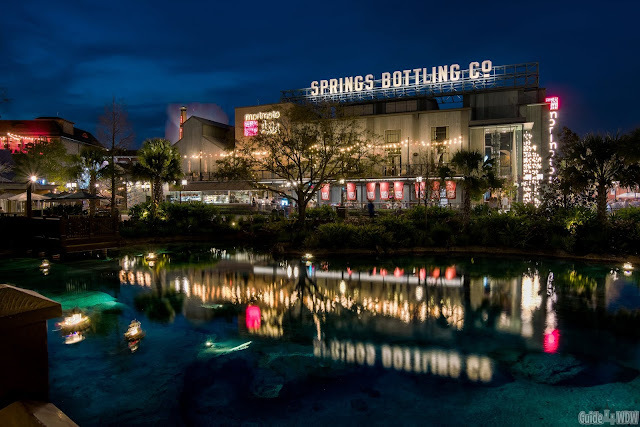 As strange as it may sound, you really do need to plan out a good amount of time if you plan to try and walk and explore every area of Disney Springs. As with anything Disney, you'll never see and do it all, but it does take at least 3 or 4 hours to even walk through and hit the highlights. If you're booking a long trip to Walt Disney World, I highly recommend taking a day of your trip to set aside a large amount of time to spend at Disney Springs. You can easily make a day of the experience. Book two meals, plan some shopping time, and plan at least one activity and it will make for an excellent day! Personally, I recommend trying the Void, the Aerophile balloon (which you'll never get me in lol), or even quite possibly Splitsville. For a shorter stay, it's still well worth talking some time out of your vacation to explore, but at the same time it's not something I'd deem a "necessity" of your vacation experience. 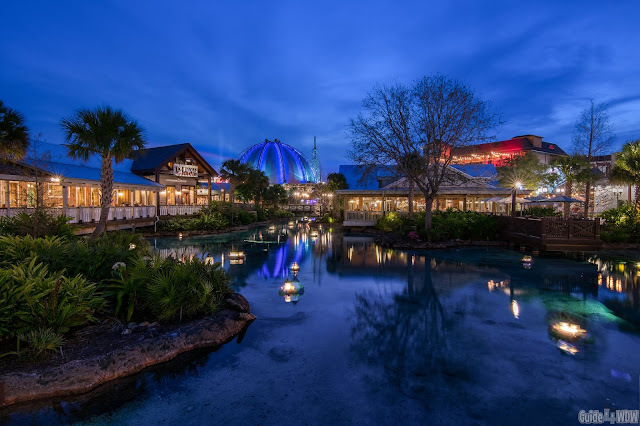 The atmosphere of Disney Springs is electric at night and a ton of fun to say the least but if you're only spending two or three days at Walt Disney World, it may not be feasible for you to devote a large amount of time to the area. To me, Disney Springs is more about the atmosphere and the simple elements of the experience including the street performers, live music, and lights and colors of the overall area, but I do have to say that some of the shopping can be avoided. Truthfully, when I go to Disney Springs I typically hit about 6 stores. I always head to World of Disney, the Marketplace Co-op, Art of Disney, Uniqlo, and occasionally stop by some of the more high end shopping locations in the springs area to window shop if I'm traveling with family. The problem with the latest and recently added shopping of the redesigned area is that so much of it is very very expensive. Often it's fun to look through these stores but I cant recall ever buying anything from any of the stores. If I'm looking for high end merchandise, watches, or things of the sort, I'd personally catch an Uber or Lyft and ride 5 minutes to the Orlando Premium Outlets were you can find stores such as Coach, Tag Heur, Citizen, Nike, Vera Bradley and many many others at much more affordable prices. I know I'm not the target audience of high end shopping as a senior in college, but all things considered it's not the perfect storm and array of shopping in my opinion. Not all the shopping is non-Disney but a good portion of it is so personally I'd be very selective in what you decide to spend your time on. If you're from a more rural area, these shops may be incredible to wander through. It's all about your perspective going into it and what you want out of the experience. Either way, it's something you may want to consider along the way. At Disney Springs, it's not out of the ordinary for a saxophone player to be wandering the streets performing, a magician to be unveiling his latest tricks, a piano to roll past you playing a song, or even for a dance party to break out at any variety of different stages scattered around the area. Go into the experience expecting the unexpected. Don't spend so much time rushing to get from store to store to store that you overlook the spontaneous events that pop up during your time there. Also, and in a very similar way, don't be afraid to enjoy the fun. You're on vacation! Let yourself enjoy the moment and it will likely be a moment that will stick with you for years. As I always say, 99% of these people you'll never see again so why worry about what anybody else thinks. If you take yourself too seriously everyone else will too so why not enjoy a moment of spontaneity! In the end, that's what it's all about in my opinion. Enjoy just being there and making the time count in any way you can! As always, if you have thoughts, concerns, questions, or even some tips of your own to share, don't hesitate to reach out to us on Facebook or your favorite social media platform. Give us a follow while you're there, and we'll keep the conversation going in the future. We're not the largest Disney community, but we're one that's here and one that listens. Thanks for reading and have a wonderful day wherever you are! If you want or simply need a little bit of planning help to make your Disney vacation dream a reality, check out the quote request form below this article for our friends over at Destinations to Travel. They'll let you do as much or as little of the planning as you'd like and may even save you some money along the way! As always, thanks for supporting those who support us. Last but certainly not least, if you're starting the planning process, a great place to start are with some of our top planning articles! Looking for dining? 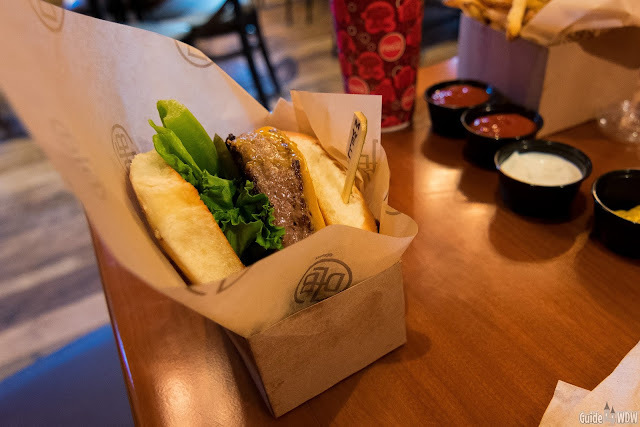 Check out Disney World Dining Tips For 2018. Want to start with some more tips? 44 Excellent Disney World Tips for 2018 or Disney World Planning Guide and Tips For 2018 are a great place to begin! Looking to save money on tickets? Check out our friends over at The Official Ticket Center for great deals that even made it into our 2018 Discount Disney World Ticket selections and another great way to help us create more content through your contributions at no additional cost to you! You'll probably even save money along the way!